The New Zealand Police has launched a fast paced recruitment video as part of the New Cops campaign to attract hundreds of new recruits. They’re looking for a diverse range who can form a team that represents and understands all communities of New Zealand. 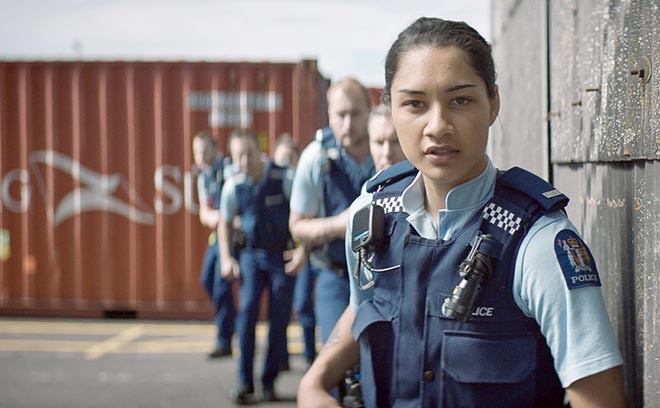 The NZ Police recruitment film features over 70 actual cops. The Police band, Police dogs & cats, Eagle helicopter, the Armed Offenders Squad, William Waiirua, Black Ferns and the Police Commissioner Mike Bush, all put their hands (or paws) up to be involved in the video to encourage New Zealanders to join NZ Police. The three minute video was released on the New Zealand Police Facebook page, YouTube site and Recruitment site, newcops.co.nz, with different durations rolling out in coming weeks over other media. “New Zealand Police are striving to increase our overall staff numbers over next three years to meet our objective of being the safest country, and to deliver on the Government’s signalled staffing increase,” Police Commissioner, Mike Bush says. Deputy Chief Executive Public Affairs, Karen Jones backs up Bush’s statement, saying, “We want to attract people who bring their own skill set, like problem solving and working in a team, and who are fit, or prepared to get fit. Most importantly we want people who care about making our communities safe. There are more than 30 different career paths within New Zealand Police and we will invest time in training these people to ensure they have the skills to handle any situation”. Filming was shot by director Damien Shatford via The Sweet Shop with executive producer Ben Dailey, managing director Fiona King, director of photography Andrew Stroud, director’s assistant Alistair MacDonald, senior editor Ben Marshall, head of post production Martin Spencer and colourist Dave Gibson. Sound and music were produced at Liquid Studios by executive producer Tamara O’Neill, head composer Peter van der Fluit and senior sound engineer Craig Matuschka.